What automobile models are these? "Do Ck Y 2" "Ohio. Cleveland. 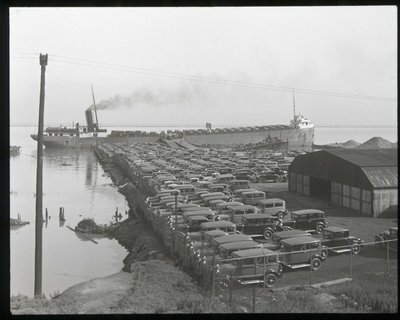 Large Lake Boat Loaded with Automobiles; Yard Full of Cars Recently Unloaded. (1929)"
"New York State Education Department Visual Instruction Division. Negative No. A13703"